Dynamic compaction is a ground improvement technique in which a drop weight is used to densify the soils and fill materials. 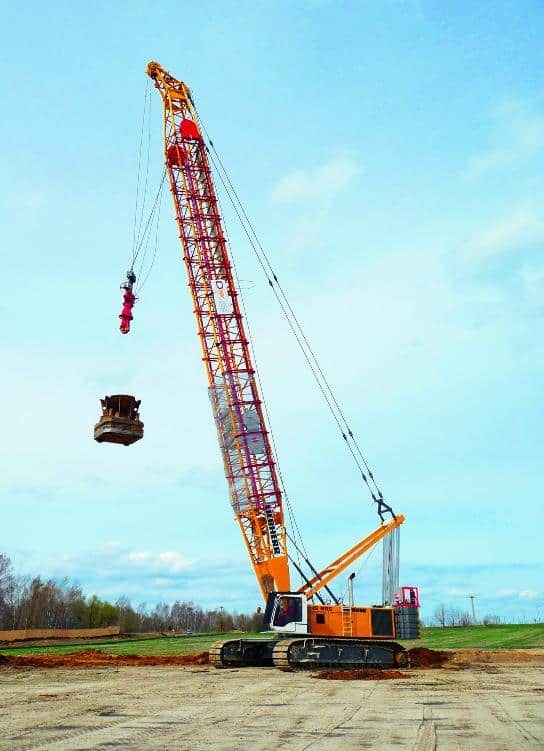 The drop weight is typically made of steel and is lifted by a crane and repeatedly dropped onto the ground surface. 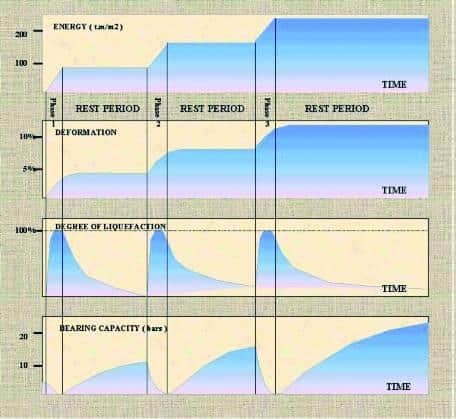 The vibrations that are resulted from the repeated drops, are transmitted below the surface which improve soils at depth. These drop locations are generally located on a grid pattern. 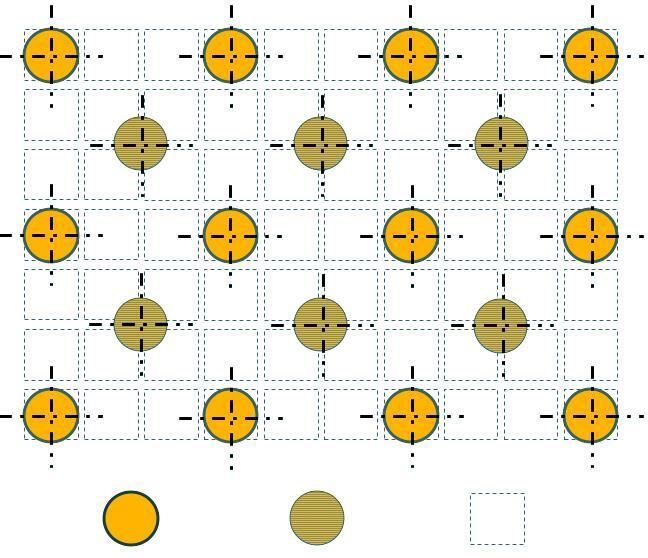 The subsurface conditions and foundation loading and geometry determines the spacing of the grid pattern. Dynamic compaction utilizes the dynamic effect of high energy impacts which are caused by the drop weight of steel. These large steel weights weigh 15-40 tonnes which are dropped from a height of 10-30 meters. 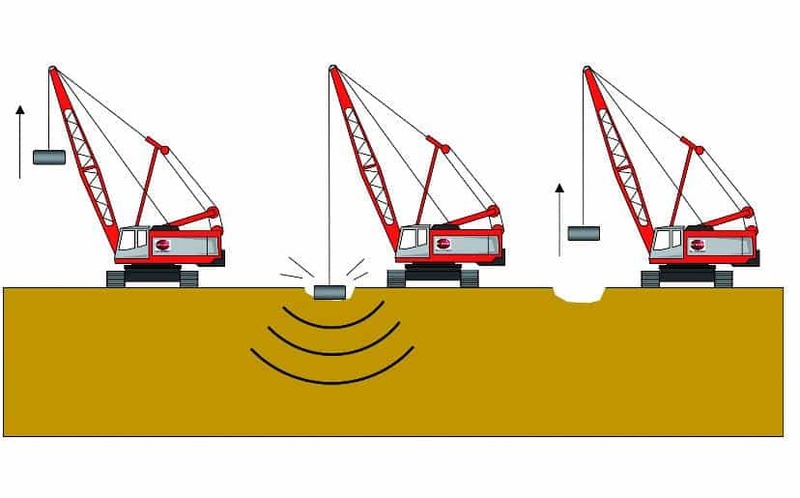 The actual purpose of this technique is to transmit high energy waves through a compressible soil layer to improve Geo-technical properties of soil at greater depths. Dynamic Compaction is normally associated with an intensive procedure which undergoes in-situ testing to verify that the specified improvement has been achieved. Soils with large air voids such as refuse dumps and poorly filled ground. Dynamic Compaction is effective in both saturated and unsaturated soils. Typically this technique should not be carried out within 15m of existing services and 30m from existing buildings. 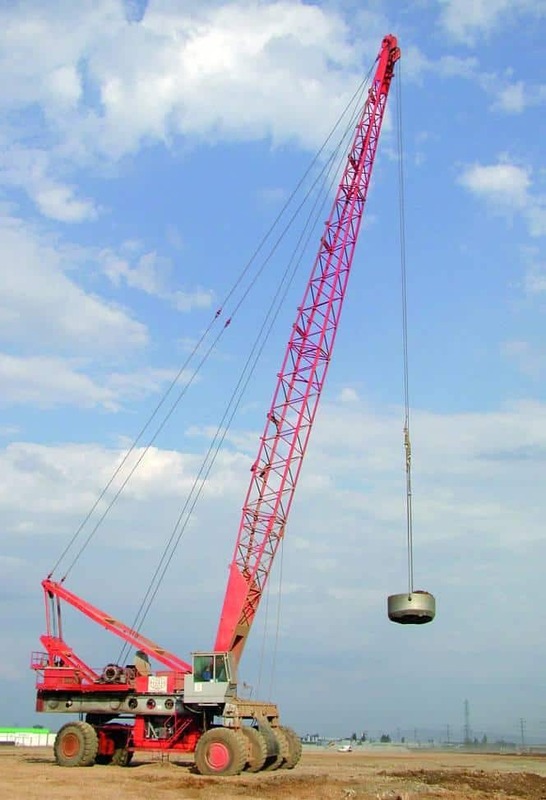 Specially designed 80-120t cranes are used. The site test areas assess the designs after which they are confirmed. Deeper layers are compacted at wider grid spacing and upper layers are compacted with closer grid spacing. The immediate effect caused by this technique is of utmost importance as it results in the immediate reduction in the void ratio which is measured by the settlement after impact. The increase in pore pressure and localized liquefaction in some saturated soils causes a slower phenomenon of improvement of soil. But the pore pressure dissipates during the rest period and results in an improved soil due to the reorganized soil structure. When soils of depths more than 10-12m are to be compacted, High energy dynamic compaction can be carried out. This type of compaction technique employs an equipment which comprises of free falling drop weights needing a specially designed weight release system using hydraulic clamps to avoid cable damping and friction, plus repeat cycle lifting hooks. When the high energy dynamic compaction is used for treatment of greater depths, the design of work phases is important in order to obtain a homogeneous compaction over the thickness of the soil mass. The concept of Dynamic compaction is simple but experienced engineers and good planning is essential. Also the thorough understanding of soil strata prior to treatment and maintaining an excellent control program during all phases of the work is required.